Maroon 5 guitarist James Valentine showed you how to play the band's monster hit She Will Be Loved in September, while DJing superstar Paul Van Dyk revealed his favourite music software. Plus, we had our 2012 guide to the best heavy metal amps and Eric Johnson choosing his 10 greatest guitar tones of all time. 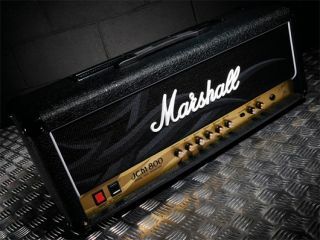 "For my latest album, 90% of it was produced, composed and arranged in Ableton Live"
Which guitar amp have MusicRadar users voted the best for playing metal?